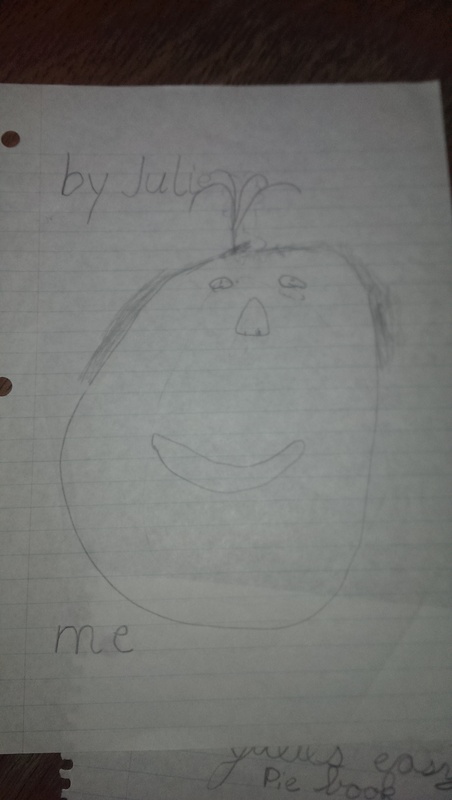 This is obviously an accurate self portrait of me in my early days. Based on my historical analysis, this piece was created somewhere between 1995 and 1996 based on the lack of cursive, but obvious monkey tails on the penmanship. 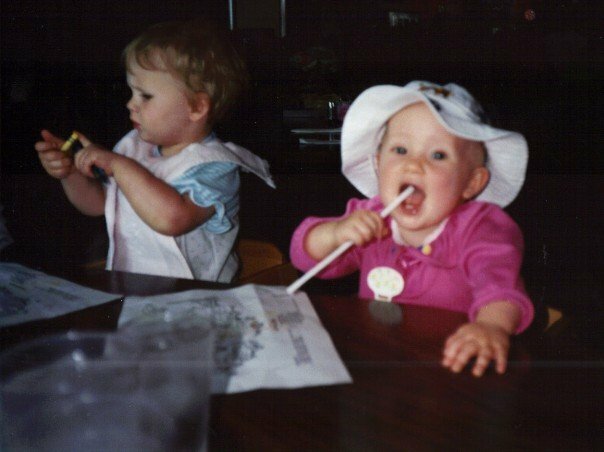 The long bob with “fountain pony tail” hair style was also in during this time frame as I was focused on growing out the bowl cut. See the resemblance? (Sorry I was unable to fine a better photo with the famous fountain pony. I will have to make a trip back to pull one from the archives.) Below you will see the “bowl with a bow”. Ahhh! I found one! A little, blurry one, but here is the fountain. 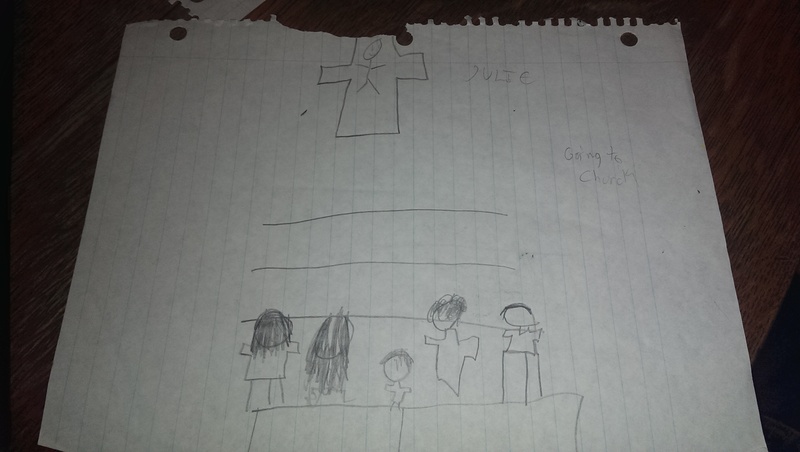 Next up is a piece of genre art depicting the family of Whitney on a typical Sunday morning. 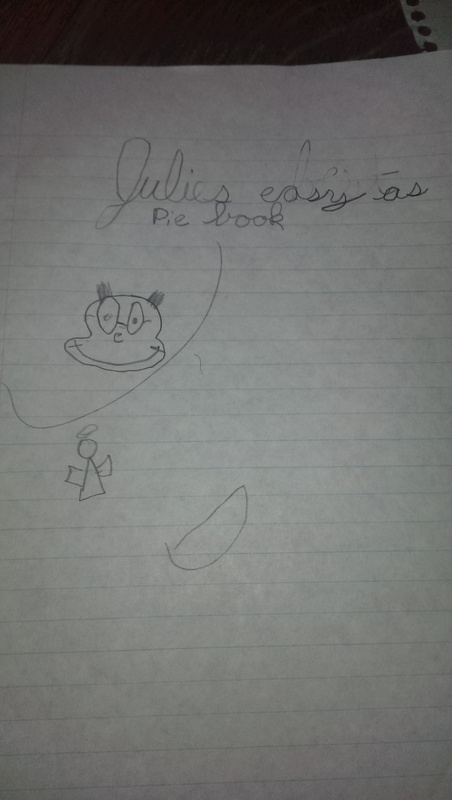 And lastly is the draft of the unpublished how to draw book entitled ” Julie’s Easy as Pie Book”. Sadly this book was never sent to publishing as I began to focus my talents elsewhere. 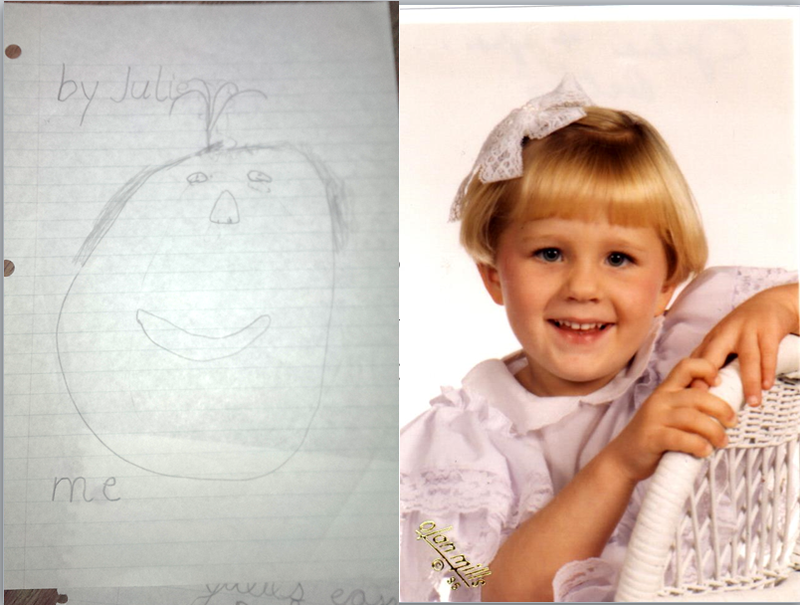 My early days of art using my preferred medium of crayons. My cousin, Molly, is perfecting the straw method of coloring. Like usual, Missouri weather is all over the place. The week has really felt like the beginning of fall. The cool weather has rolled right in (who knows if its here to stay or just visiting). Normally I am the one begging summer to stay a few extra weeks, but after our AC troubles a few weeks back, I guess I am okay trading the swim suit for a light jacket. Why couldn’t the AC have waited a few weeks to die on us?!? The weather was appropriate for some college football. 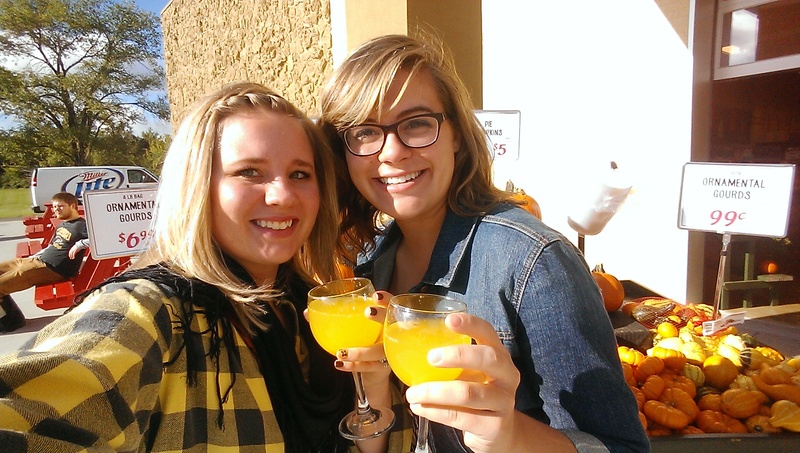 The weekend was spent in Columbia to watch the MU Tigers beat the…the…oh goodness I don’t know who we played. I’m the worst football fan ever. Go Sports! I was there I swear…but I am a little more into the tail gates and team spirit than actually watching the boys of fall. I flew in straight from a business trip. Having packed over a week ago, I was not prepared with my fall team wardrobe. Thank goodness Shannon still has plenty of black and gold options in her room in the Lou. 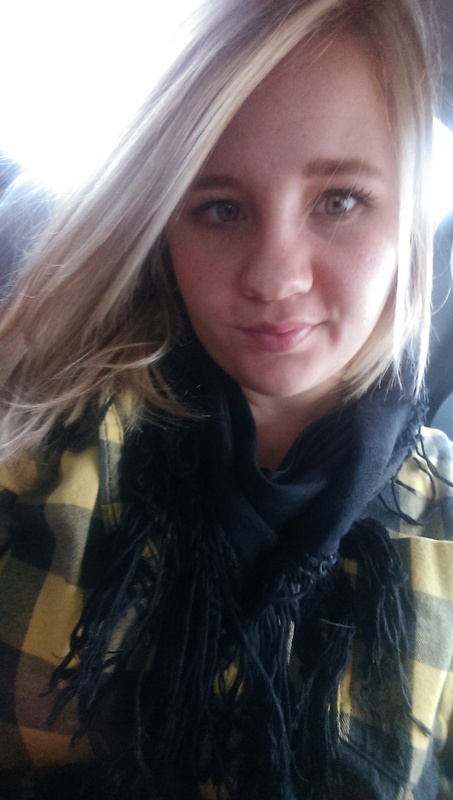 Shameless selfie thanking the big sis for letting me borrow some clothes. (Some things never change). I am also excited to bake a few fall favorites now that the temps are dropping. I tried out a new recipe last night that was a total hit. I am not usually a sweet potato fan, but I keep trying to work them in since they are packed with all kinds of healthy-ness. I didn’t snap a pic (we were to hungry) before we dug in, but you can see the recipe I used here. 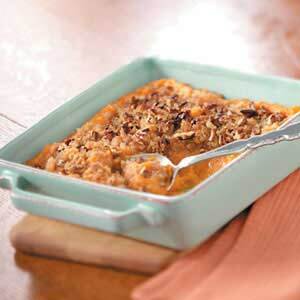 It’s called “Crunchy Sweet Potato Casserole“. If I were in the food naming business I would probably call them “Yummy Mashed Sweet Potatoes”. In a strive to be healthy, I cut the amount of brown sugar in the recipe by almost half (and used a little less butter). (I also don’t know what egg substitute is, and I don’t care to know. Instead I opted for two eggs and a splash of extra milk). I used the vita-mix to mix and mash the potatoes after boiling. I also added a little extra vanilla. Yummy! This was seriously the best way I have ever eaten sweet potatoes. Check it out. 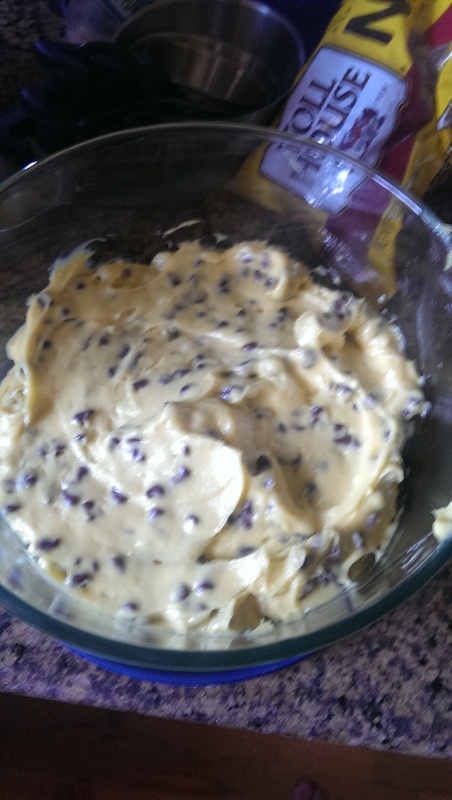 Oh and if the temps rise try this no-bake treat. It is great for tail gates and watch parties too. I made this cheese cake dip for George’s watch party when I was out of town. I even tinted it gold for the tigers and served with vanilla wafers and gram crackers.